You can get these from the site surprise someone.in (here and here) . The links are not showing the exact product as shown in the picture above but similar kind of products.. The fabric frame priced for Rs 199/- and the combo frames priced for Rs65/- ..
Hope you liked this post.. See you in the next eries.. 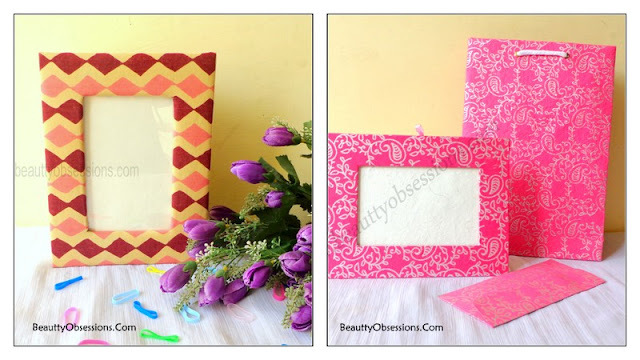 Loved the idea...infact have made a photo frame to gift in past. Aaah.. They are so dam good! Lovely post!